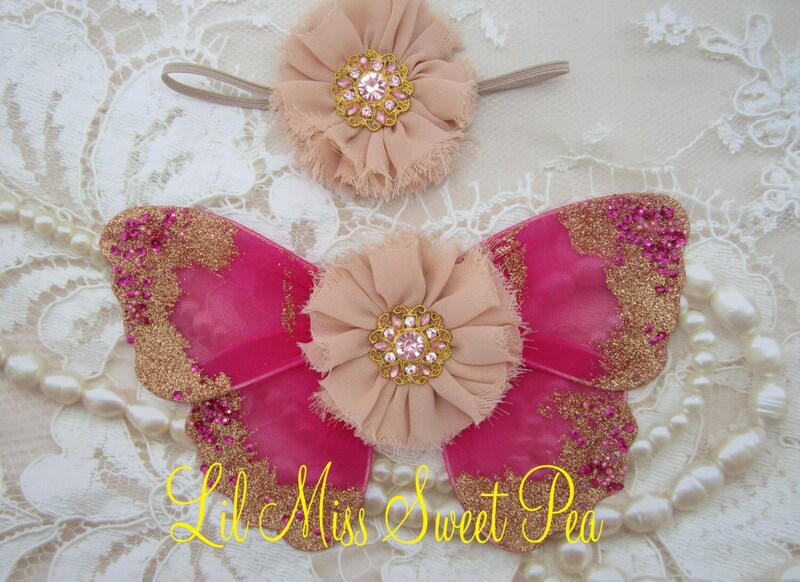 Baby wing set in fuchsia and tan with gold. These wings lay on the babies back for photo props for newborn babies ( NO STRAPS ). Wings measure 8 inches by 5 inches. Headband measures 13 inches. Order just the headband, just the wings, or a set of both. Loooove !! Thank you so much ! !